Award-winning sports writer James Lawton is to leave The Independent as part of its latest cost-cutting exercise. Earlier this month, the paper announced it would be making 27 compulsory job losses out of its staff of 190 ahead of an autumn revamp. Chief sports writer Lawton, who will be 70 on Sunday, has been at the paper since 2000 and is one of its most respected journalists. 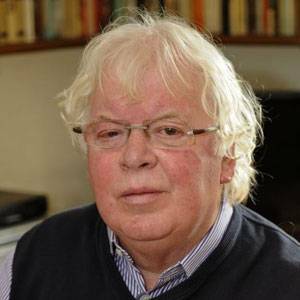 Flintshire-born, he started as a junior reporter on the Flintshire Leader in 1959 before joining the Daily Telegraph as a sports sub-editor in 1963. He went on to enjoy a stint at The Sun before two long spells at the Daily Express - totalling 27 years - either side of eight years in Canada as chief sports columnist on the Vancouver Sun. He has been garlanded with numerous awards including SJA Sports Journalist of the Year in 1988 and Sports Journalist of the Year at the British Press Awards in 2010. Fellow sports journalists were shocked to hear of the news. Barry Flatman, tennis correspondent of the Sunday Times, tweeted: "A day to mourn the demise of British sports journalism. Probably my most influential one-time colleague, James Lawton is made redundant." Tom English, chief sports writer of Scotland on Sunday, also tweeted: "James Lawton is leaving the Independent. I don't know Jim, but I know he was the reason I bought the Independent." It is not known when Lawton will leave but he was still working for the paper at The Open this weekend. A number of other senior and long-standing Independent journalists are also understood to be leaving as part of the cull, including John Walsh, Daniel Howden, Tom Sutcliffe and John Lichfield.